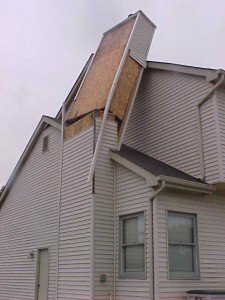 When a chimney fire occurs, wind damage or lightning strikes your chimney, the damage is incurred. Most folks’ insurance policies cover sudden occurrences. A chimney professional must try to help homeowners make the insurance process go as smoothly as possible. My number one recommendation when it comes to insurance claims, no matter what kind of insurance, is to document everything at the very beginning of the process. You need to be sure to document the date it occurred, the name of the professional(s) who comes out to evaluate the situation, and the date(s) the professional evaluated the situation. Your professional should also be doing some documentation as well. The service technician must document the damage, the date it happened, and how they discovered it. Most chimney fires are discovered by chimney sweeps who come out and observe signs that a chimney fire has occurred when running a video inspection of the flue system. This is a dangerous situation which we will not ignore because you cannot continue to burn wood regularly in your fireplace without repair. 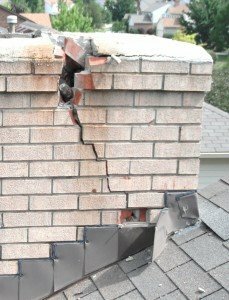 You may notice exterior damage on the chimney caused by a lightning strike. In this case, the technician should document that he came out to observe possible lightning strike damage at the request of the owner of the home. Most insurance policies do not cover normal wear and tear of the chimney, for example, deterioration over many years. Vertical cracks in flue tiles often indicate a chimney fire has occurred. They do not cover problems such as a clogged flue or spalling brick. Which is almost always the result of poor maintenance of the chimney. Instead, documentation for insurance claims are used to file a “sudden occurrence.” It has been my experience that most insurance companies are willing to work with you so long as you provide the documentation and information that they require. Chimney professionals are almost always willing to come out, meet with an insurance agent or a homeowner. Then they do whatever work is necessary in cases regarding sudden occurrence insurance claims. My policy is to never get ahead of the insurance agency and follow their lead when it comes to the claim. Then, provide what documentation and service they require. Remember, it is not the chimney professional’s job to defend the home owner’s claim. It’s their job to review observable facts and provide documentation that a person other than a trained professional couldn’t do. Call out one or more professionals if you suspect a sudden occurrence has taken place. They can almost always make the insurance claim process less of a hassle. Since you have been working in the industry for many years with various vendors, can you recommend at least top 3 or 4 direct vent reputable vendors to look at their products and what are their pluses and minuses ?? Well Dave, since this is a political year I’m going to play politician in answering your question. what leveled the playing field standard with many of the new burn emission standards for all Manufactures. May I suggest that you personally visit 2 or 3 stove shops in your area your going to need to be comfortable with WHERE you buy your stove. I feel price is in most cases reflective of the quality levels. Again the internet can be a great servant for you regarding the dealer as well as the fireplace equipment. an the darn door handles break in the winter, great car “if you can get into it in the clod frozen winter”. I just want it to work or start when I need it to, and if it doesn’t, “who will be fixing it”. Sorry for my pontificating, …. I just couldn’t resist ? *Regency, Monessen, Valor, Napoleon, Majestic, Heat & Glo, Lopi, the list of stove manufactures goes on and on. Due to servicing issues, when it comes to these types of items, I’m just not a big box store advocate. Big viewing glass, quiet blower and a remote control are important to me! PS Please…“No vent free” for me! Hi Clay, So well put, I love what you said, your right on point. I would like to pass on expert advice to all my friends and customer’s. I have been in the Chimney and Hearth for along time but just never could put it on paper. I now have cut back, time has come for me to slow down and I have over 30 year’s of experience in the trade. But zero on writing and grammar. 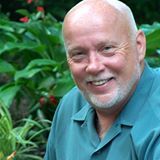 I have had the great pleaser of meeting and talking with you and Jerry over the year’s at CSIA, NCSG,NFI, and many other places. I thank you and all I have meet over the year’s. If it’s ok I would like to pass on your website. Jim you are a well seasons Chimney contractor and I do recall our speaking. I believe your actually partners with my friend Steve Miles over there in Salina KS. Thank for the contact here and yes your always welcome to use our information and video links posted here or on our Youtube channel “Ask the Chimney Sweep’. 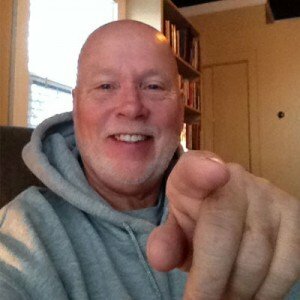 Jim if you listen to podcasts, check out our weekly show at http://www.HomeContractorsHQ.com You can easily join in and subscribe to get our weekly episodes from either the Itunes or Stitcher Radio app. Again, thanks so much for this shout out to me and please tell Steve I said hello. Home Chimneys Animals & Pests What the Heck is a Sudden Occurrence Insurance Claim?